Pizza, tempura, unlimited wine, and more are on the menu. (SPOT.ph) We're still a few days from that much awaited payday, but that doesn't mean that you can't indulge. 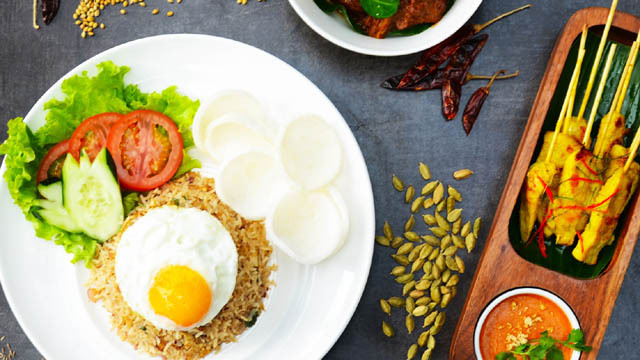 We've rounded up food steals and deals to tide you over till then, so make sure to check out our list of discounts, freebies, meal sets, and more. 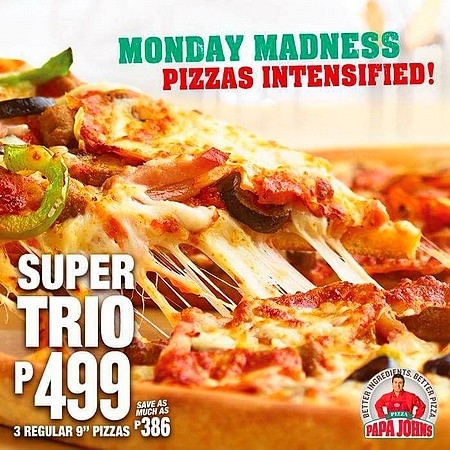 Make Mondays super at Papa John’s and their Super Trio promo. Get three pizzas for just P499! This promo is valid on all Mondays until April. Time to plan that pizza party! Mad Mark’s is celebrating its anniversary with a throwback to its 2011 menu! 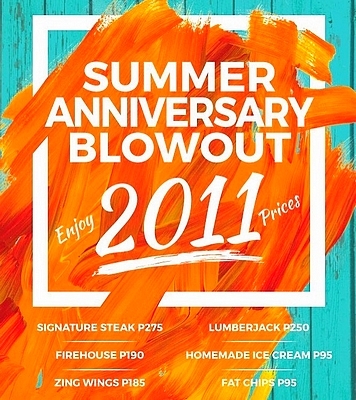 Enjoy your favorites with great discounts, like the Signature Steak for just P275. This offer is valid until July. 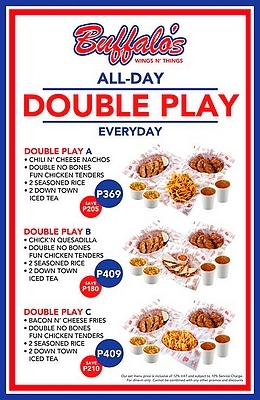 For a limited time only, enjoy Buffalo’s Wings N’ Things’ All Day Double Play menu sets. Indulge in a combination of Double No Bones Fun Chicken Tenders, two Seasoned Rice, and two Down Town Iced Tea with your choice of Chili N' Cheese Nachos, Chick'N Quesadilla, or Bacon N' Cheese Fries! Prices start at P369. See a list of Buffalo’s Wings N’ Things branches. For more information, log on to Buffalo’s Wings N’ Things’ Facebook page. Celebrate great flavor at Applebee's! 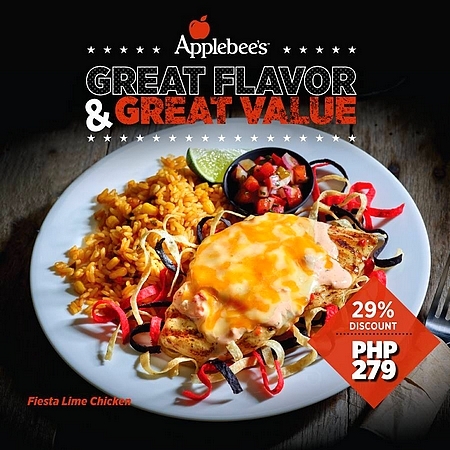 Enjoy 29% off the signature Fiesta Lime Chicken for just P279. This promo is available from Mondays to Fridays only until May 31. 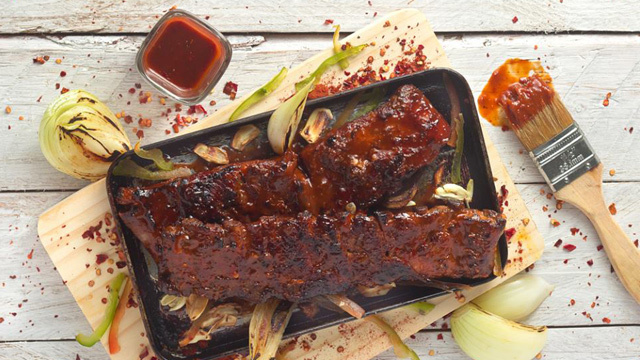 Applebee’s is at G/F W Global Center, 9th Avenue corner 30th Street, Bonifacio Global City; and at Eastwood Citywalk 1, Libis, Quezon City. For more information, log on to Applebee’s Facebook page. Your lunch and dinner favorites are made even better at IHOP. 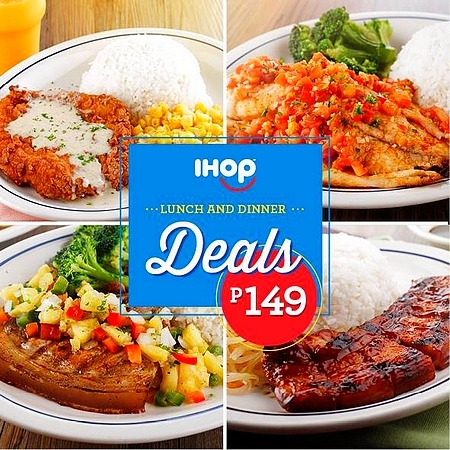 Visit with your family and friends to enjoy awesome steals at P149. This offer is available from Monday to Friday until May 31 on dine-in transactions only. See a list of IHOP branches. For more information, log on to IHOP’s Facebook page. 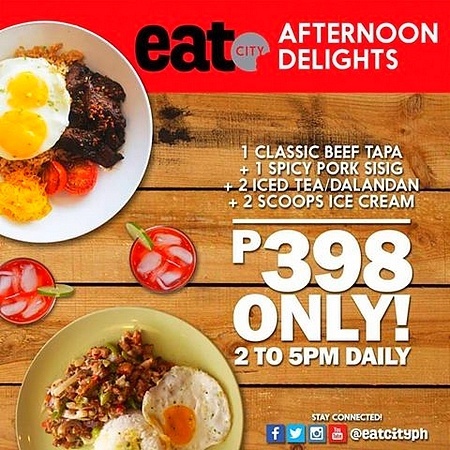 Satisfy your afternoon cravings at Eat City! Get one Kung Pao style noodles, one penne with malunggay, two glasses of red iced tea or dalandan, and two scoops of ice cream—all for P348. For P398, dig into one classic beef tapa, one spicy pork sisig, two glasses of red iced tea or dalandan, and two scoops of ice cream! Both sets are available from 2 p.m. to 5 p.m. daily. See a list of Eat City branches. For more information, log on to Eat City’s Facebook page. Work got you stressed out? 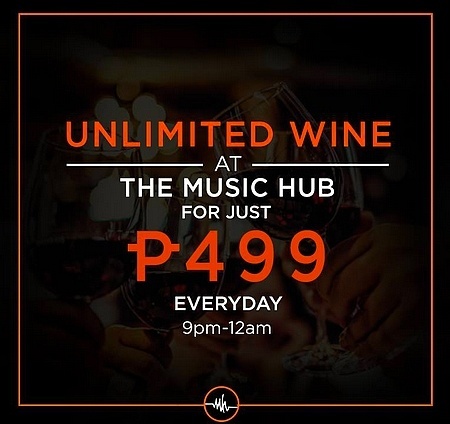 Unwind with unlimited wine at The Music Hub, and for less than P500 at that! The Music Hub is at 3/F South Insula Building, Timog Avenue, Quezon City. For more information, log on to The Music Hub’s Facebook page. 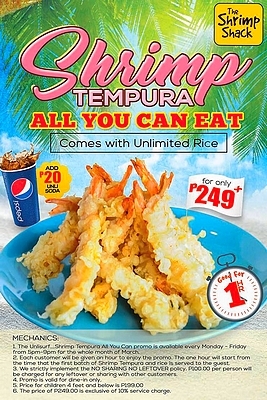 For just P249 and a one-hour time limit, go crazy on unlimited tempura and rice at The Shrimp Shack! This promo is available from Monday to Friday, 5 p.m. to 9 p.m., until March 31. Add P20 to throw in unlimited soda to your meal. See a list of The Shrimp Shack branches. For more information, log on to The Shrimp Shack’s Facebook page. 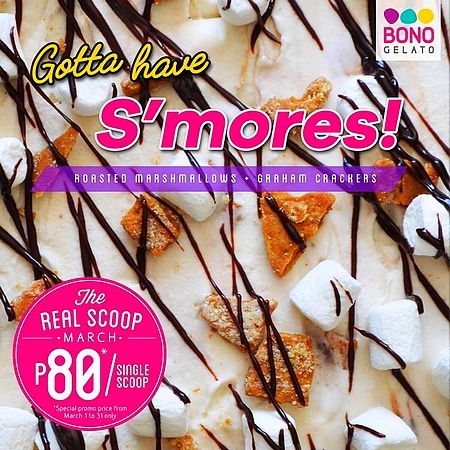 Have a taste of BONO Gelato’s S’mores gelato! Until March 31, the S'mores gelato which consists of roasted marshmallows and graham crackers, is at a special promo price of P80 per scoop. Don’t miss it! 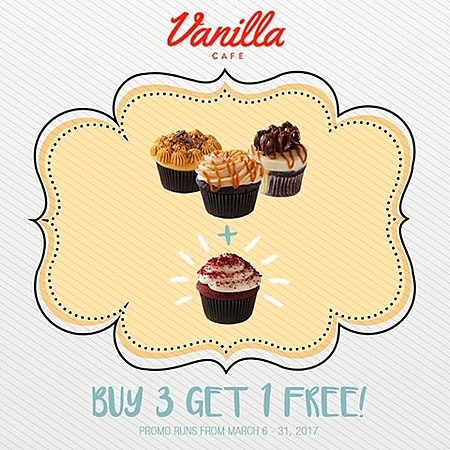 Give in to your sweet cravings with Vanilla Café’s newest promo! Enjoy three assorted flavors and get one free! This promo is available until March 31. See a list of Vanilla Café branches. 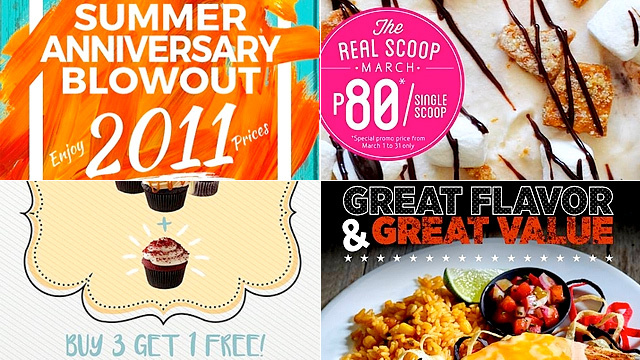 For more information, log on to Vanilla Café’s Facebook page.